Ohio currently has four home and community based 1915(c) waivers that serve children. All serve both children and adults. Three waive parent income for eligibility, but the parental deeming is unknown for the other program. See Ohio's HCBS Waivers page for more information. 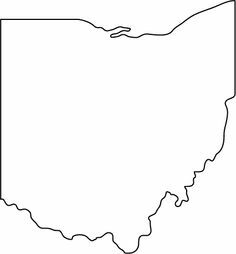 Ohio also has several adult-only waivers, including Passport, Choices, Assisted Living, and Integrated Care Delivery System. Description from medicaid.gov: Provides adult day health center services, personal care aide, emergency response services, home care attendant, home delivered meals, home mods, out-of-home respite, supplemental adaptive and assistive device services, supplemental transportation, and waiver nursing services for individuals with physical disabilities, ages 0-59. How to Apply: Contact your County Office. Waiting List: Ohio has 64,546 people on waiting lists. Description from medicaid.gov: Provides homemaker/personal care, respite, adaptive and assistive equipment, adult family living, adult foster care, community respite, environmental accessibility adaptations, habilitation-adult day support, habilitation-vocational habilitation, home delivered meals, homemaker/personal care-daily billing unit, interpreter, non-medical transportation, nutrition, remote monitoring equipment, remote monitoring, residential respite, social work, supported employment-adapted equipment, supported employment-community, supported employment-enclave, transportation for individuals with IID/DD, ages 0 - no max age. How to Apply: Contact your County Board for Developmental Disabilities. Description from medicaid.gov: Provides community inclusion, residential respite, supported employment-enclave, participant-directed goods and services, participant/family stability assistance, support brokerage, clinical/therapeutic intervention, community respite, functional behavioral assessment, habilitation-adult day support, habilitation-vocational habilitation, integrated employment, non-medical transportation, remote monitoring equipment, and remote monitoring for individuals with IID/DD, ages 0 - no max age. Description from medicaid.gov: Provides homemaker/personal care, institutional respite, specialized medical equipment and supplies, community respite, environmental accessibility adaptations, habilitation adult day support, habilitation vocational habilitation, home delivered meals, informal respite, non-medical transportation, PERS, remote monitoring equipment, remote monitoring, residential respite, supported employment-adapted equipment, supported employment-community, supported employment-enclave, transportation for individuals with IID/DD, ages 0 - no max age.